Clever device makes moving carboys much easier. This innovative product ends the struggle of handling and moving glass carboys. 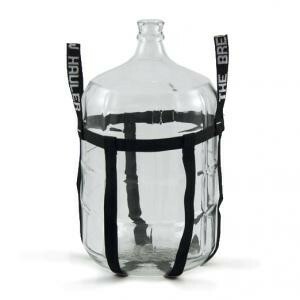 Constructed of polypropylene webbing it creates handles around a carboy. This adjustable nylon carrier makes moving those full carboys a joy!